This former city of popes is situated in Southern France, on the banks of the river Rhône. And as a perfect mixture of medieval culture and modern tendencies, Avignon is place that exudes the air of yesteryear while it continues to thrive in present. Still, the remainders of past are scattered around every corner of this breath-taking city; they can even be found in numerous hotels, restaurants, majestic monuments as well as in the bars and local cafes. These are some of the main reasons that explain Avignon’s appeal to the tourists through the entire year, as well as the ever-growing amount of visits, year in, year out. And believe us when we say that traces of the era bygone have truly shaped this Provençal city in a unique way. Avignon boasts an offer of fine cuisine dishes, permeated by the local influences that tempt the palates of all those with sophisticated sense of taste, as well as the range of the finest French wines to complement the enjoyment. The accommodation offer doesn’t lack quality and classiness, as well as an opportunity to enjoy in premium comfort while keeping the traditional interior credible yet will all advantages of the modern time and with our luxury car rental Avignon services makes it perfect. In places like these, it really isn’t that hard to revive the past times, with all their authenticity, aristocratic hedonism and southern charm. All aforementioned makes Avignon a perfect romantic destination, an important business center (with tremendous number of registered companies) and a must-visit historical site at the same time. In other words, this is one of the most important and still one of the most beautiful cities in the entire France. C’est vrai! Regardless what your motives for visiting precisely this French city might be, the best way to enhance your luxury holiday or to attend your business meetings in style is to hire a premium vehicle and enjoy in every single moment here. Still not sure what you really need? Don’t worry. Just take a few moments to consider our recommendations and you will certainly find something for yourself. Firstly, we want to present you with our top pick, Aston Martin Vanquish, because we’re sure that it would flawlessly blend in with the Avignon environment. 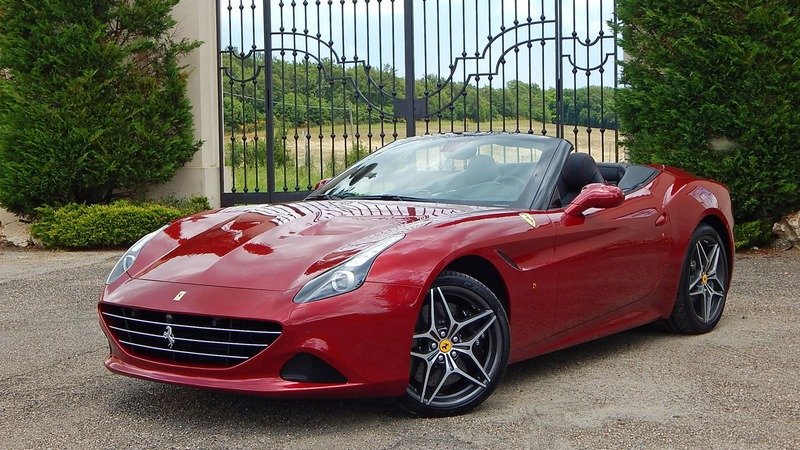 Such a classy, timeless and undying car specimen certainly issues an impression of power, taste and undisputed elegance, which will come as a cherry on top to your luxury car rental Avignon trip. On the other hand, Rolls Royce Phantom Drop Head is an option that you can’t go wrong with, especially if you’re an ardent fan of stylish and retro convertibles. With this model from renowned carmaker such as Rolls Royce, you are getting the entire package: ever-lasting trendiness, vintage chic, ravishing interior design and to die for comfort; a truly dazzling combo that is substantial for a true luxury experience, entirely worthy of the inspiring city such as Avignon. But then again, there is also a myriad of possibilities that comes with renting a Jaguar XJ. This potent vehicle delivers a premium driving experience, fortified by its unmatched power, captivating design and utmost comfort. Jaguar XJ simply embodies all the right qualities that a luxury sedan should have and there’s no arguing about that. With this sporty four-wheel monster, you’ll get to comprehend what a truly fine ride should look like. And if you rent a car, there are a few things that you need to remember. Firstly, Avignon’s Old Town is compact and parts of it are pedestrianized, making it ideal for walks. However, driving conditions are good, roads are rarely jammed and driving through the gates of the ancient city walls is a memorable experience. The main supervised and 24-hour car parks are located at the stations at 7 avenues Monclar, and underneath the Palais des Papes square. In the high season, an additional car park opens at the foot of the Pont St Bénézet. Also, there are decent car parks just west of the city center. If you decide to travel to Nice or Marseilles from Avignon by car, especially during the busy summer season, keep in mind that traffic tie-ups are quite possible to happen, especially during the morning and late afternoon/early evening, so maybe it would be a good idea to take accommodation in some of the charming little villages in this area the day before, especially if you’re taking a flight from Nice. Also, keep in mind that there are pretty strict regulations in terms of speed limit, especially in the residential and populated areas. Otherwise, enjoy your stay in Avignon and experience its unique medieval-modern appearance from the supreme comfort of your vehicle with Empire’s luxury car rental Avignon service!